Minimum Order Quantity:1000pcs for each color. 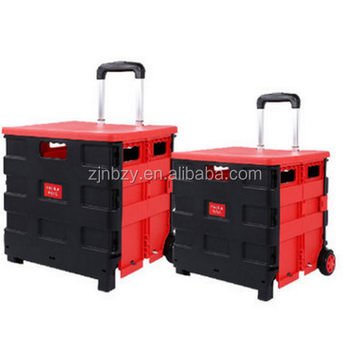 *Large Volume and Strong Capacity For Heavy Pressing Weight. *Customized Sleeve Packing on Each Unite for Retailing sales. *PAHS Certificate to Ensure Quality. 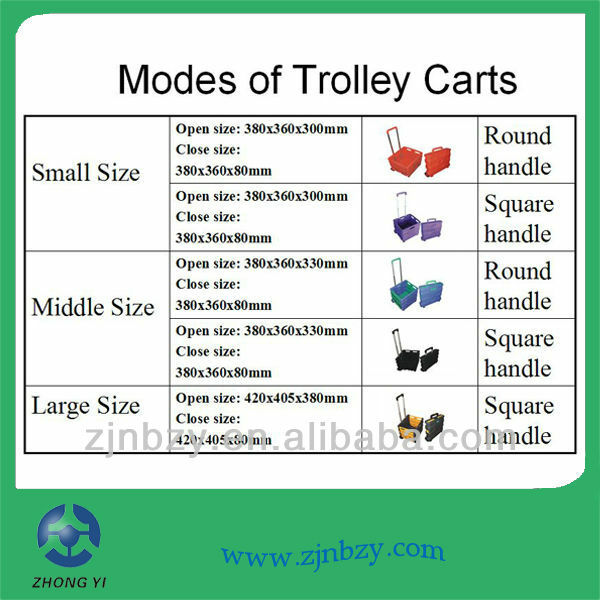 Our standar package for this Plastic Shopping Cart is with a customized color sleeve and then 6pcs in an export carton measured in 790*410*260mm and 2094pcs in a 20ft container, 4230pcs for 40ft container and 4758pcs for a 40HQ container. 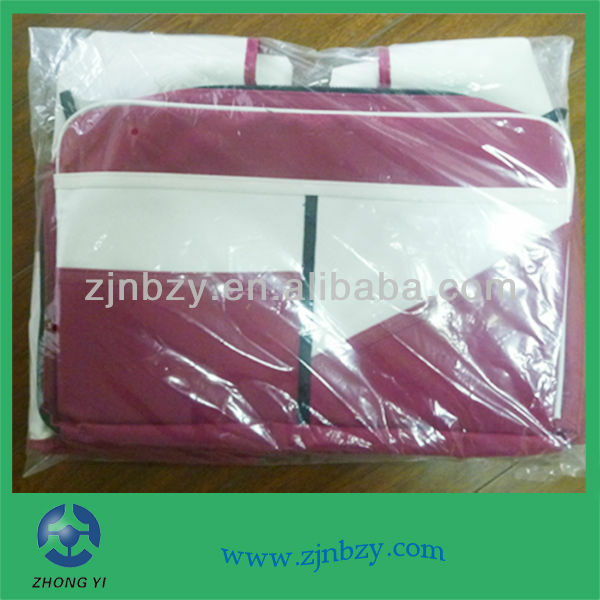 The free sample could be provided for customers' test. 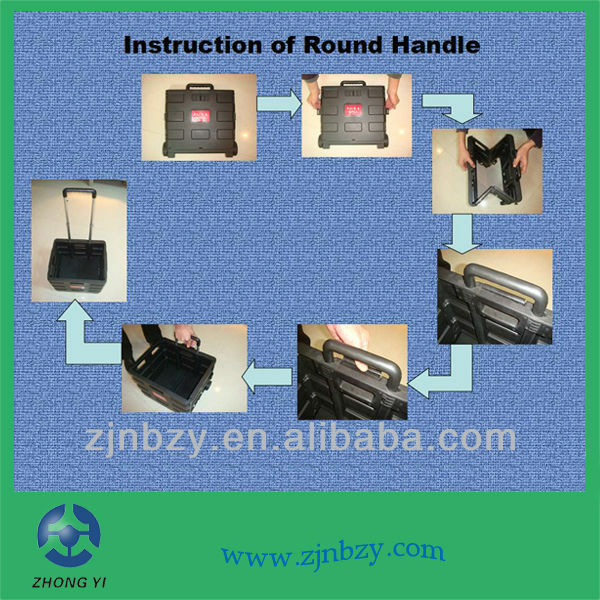 Ningbo Zhongyi is an expert manufacturer for plastic products and also a developer for moulds. We have been committed ourselves to the research,design and marketing of recyclable logistic package used products, enabling to replace the one-time package with recycling materials packaging system. 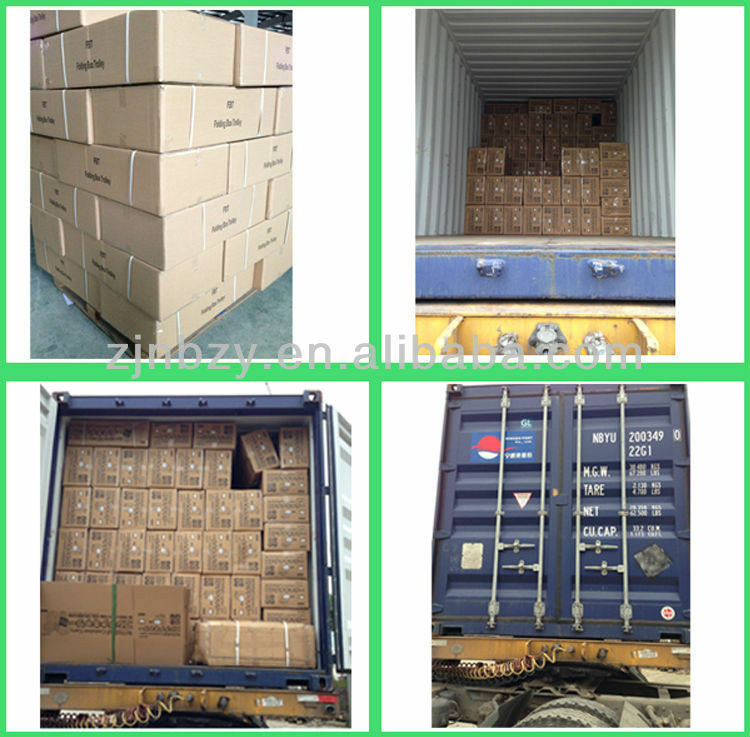 We aim to provide high quality and eco-friendly products and super service to customers based both in China and overseas in terms of warehousing, distribution and recyclable transportation system. 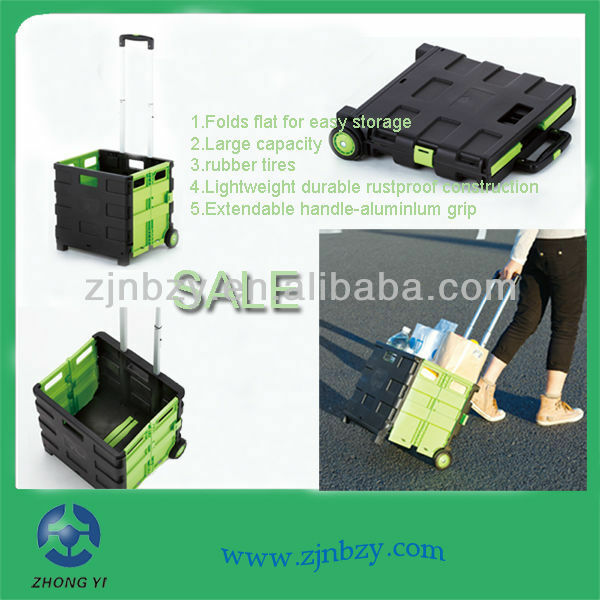 The research and execution of plastic logistic totes makes us take an advantageous position in our industry. Meanwhile we always look at providing distinctive design proposals for special industries and customers. 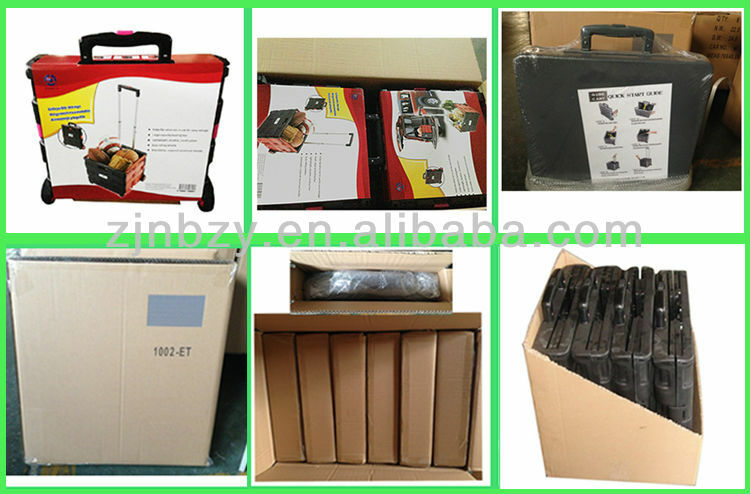 Our products have been sold as far as Germany, the Netherlands, Belgium, US, HK, etc.